Martyn Hilbert's Railway Photography - Last additions - 37013 at Farington Curve Junction. 37013 at Farington Curve Junction. 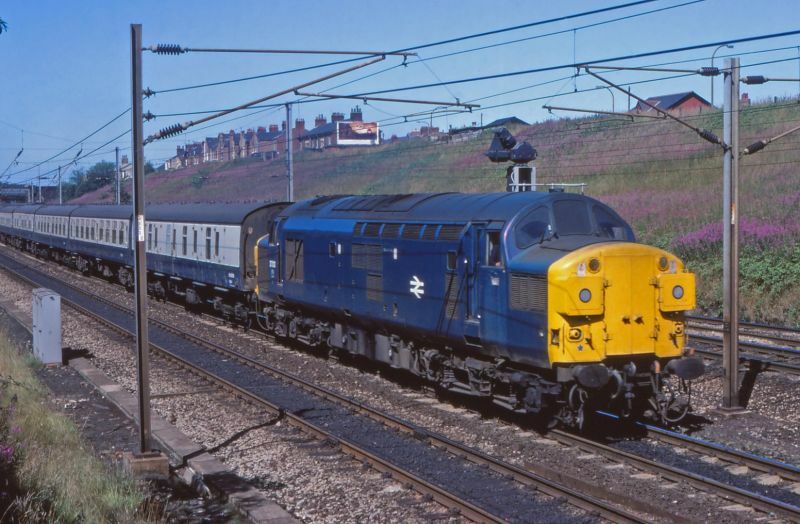 37013 trundles along the Up Slow as it approaches Farington Curve Junction whilst working the Saturday only Blackpool North to Sheffield formed of Mark 1 stock on August 13th 1983. This was a time-honoured Summer service that ran out and back on a Saturday running via East Lancashire and Copy Pit.